STONEHAM – Members of the Stoneham Fire Department, Senior Center and Board of Health would like to invite seniors to attend one of two fire and fall prevention presentations that will be held next month through the National Fire Protection Association. Tuesday, March 6 at 1 p.m.
Tuesday, March 13 at 10 a.m.
March 6: Stoneham Public Library, 431 Main St.
March 13: Stoneham Senior Center, 136 Elm St.
Lt. Charlie Webber, the Stoneham Fire Department’s Student Awareness of Fire Education (SAFE) Coordinator and Mary Zatta, outreach coordinator at the senior center, will lead a presentation on the NFPA’s Remembering When program. The fun event offers eight fire prevention and eight fall prevention safety tips that are explained through discussion, trivia, games and handouts. Fire prevention tips will include information on smoke and carbon monoxide detectors, planning and rehearsing an escape route, and adhering to smart cooking and heating practices. Fall prevention tips will include information on physical activity, keeping walking areas (pathways and stairs) well lit and clear, and wearing the proper footwear. Additionally, before and after the presentation, attendees will have the opportunity to sign up for a friendly home visit. Representatives from the Stoneham Fire Department, Board of Health and the Council on Aging will arrange to come to a resident’s home to ensure everything is in safe, working order. All aspects of a senior’s home will be checked, including making sure smoke and carbon monoxide alarms are in working order, stair railings are secure, water heaters and refrigerators have the correct settings, combustibles are stored away from heat sources, outlets are not overloaded and more. Those who need a new smoke or CO detector will be able to obtain one through the fire department. Additionally, seniors with disabilities, medical conditions or who live alone are eligible to receive a free lock box, which can be installed outside their home and utilized by family members or first responders during an emergency situation where quick access into the house is needed. Complimentary coffee and doughnuts will be provided during the Remembering When presentation. Residents who want to sign up for a home visit, but cannot make one of the presentations in March can do so by calling the senior center at 781-438-1157. Families who have concerns for a senior family member living alone, and who think they may benefit from a home visit, are also encouraged to call. 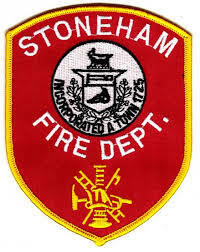 The Remembering When presentation and senior home visits are made possible through the Stoneham Fire Department’s Senior SAFE grant.